Nicole Fenner is one half of the creative duo behind The Lazy Foxes – the other, of course, being Andy Fenner – and designer of the distinctive Mountain Falls Natural Mineral Water labels. She took some time out of her busy days to answer a few questions. Who and what are “The Lazy Foxes? We are a brand consultancy company specialising in (but not limited to) the food and booze industry. We have a lot of wineries, restaurants, chefs, etc. as clients as a result. I’m responsible for design and Andy does the writing and food conceptualising. How long have you and Andy been “The Lazy Foxes”? I studied at AAA school of advertising, worked for a few agencies to get experience and then decided to take the plunge and go on our own. I have been a designer for 9 years now. Andy has been in the food industry in some shape or form for about 6 years now. First as a blogger, then as a freelance writer and now as a meat merchant at Frankie Fenner Meat Merchants. He still freelances for a few magazines and is busy with his second book. Even though it was very scary at the time I think that going on my own was the best thing I could do as a designer. For Andy, I know being named as one of Mail &Guardian’s top 200 Young South Africans was a big deal. But for both of us, opening Frankie Fenner has been amazing. To see an idea actually represented as a physical shop is special. The project/s that you are most proud of? I would say Frankie Fenner, our meat business, is the work we are most proud of. Andy also still finds it surreal to see his book, Taking It Easy on the shelves alongside his heroes. What projects do you have the most fun with? I love working on logos and packaging so although I don’t have a specific job that was the best for me, these are definitely the jobs i have the most fun working on. For Andy, anytime he gets the chance to work with passionate chefs is a thrill. He worships those guys and always tries to play it cool. It was a combination of a really great brief and understanding fully what Michael wanted for the label and just having a bit of fun with the design. Researching the product we were amazed at how few people actually know anything about mineral water. Mountain Falls has the intrinsic values that are top, top drawer. We needed a cool packaging job to support that. We have been really lucky with the success of FFMM. As a result we have scaled back quite a bit on the Lazy Foxes work. As a designer, that’s a luxury most won’t have. All this means is that we can be a bit selective of who we work with. We don’t take that for granted. 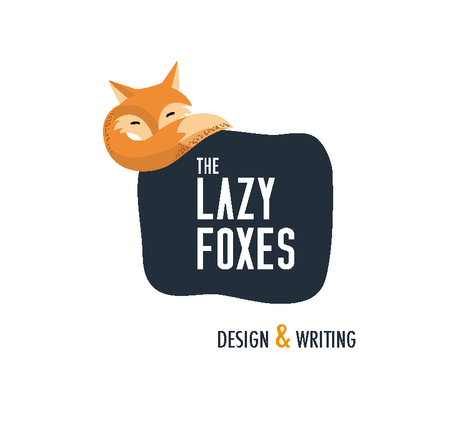 Read more about The Lazy Foxes – and why Nicole and Andy chose the name they did – at their website, or call Nicole on 083 400 3198. 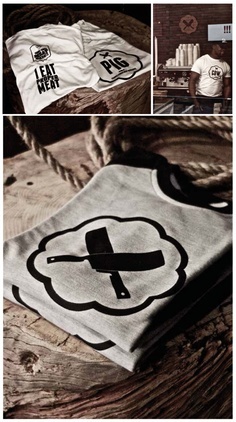 Of course, you’ll find the city’s favourite ethical meat merchants at Metal Lane, 8 Kloof Street. Check out the website here or call 021 424 7204.